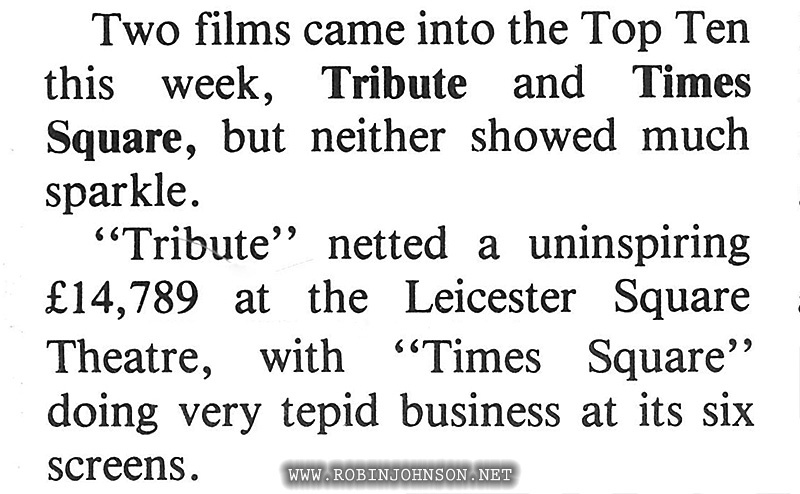 Posted on 18th May 2017 in "Times Square"
The number one film in mid-January 1981 London was, unsurprisingly, Flash Gordon, which had already been open for six weeks to Times Square’s one. 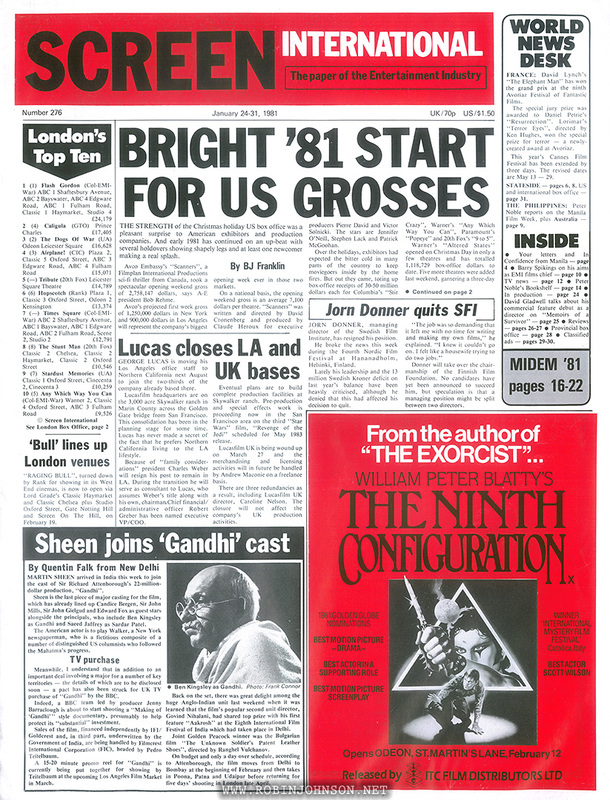 Times Square debuted at number seven and was falling fast, but its “tepid” performance hadn’t yet doomed it to closure when this issue of Screen International came out. 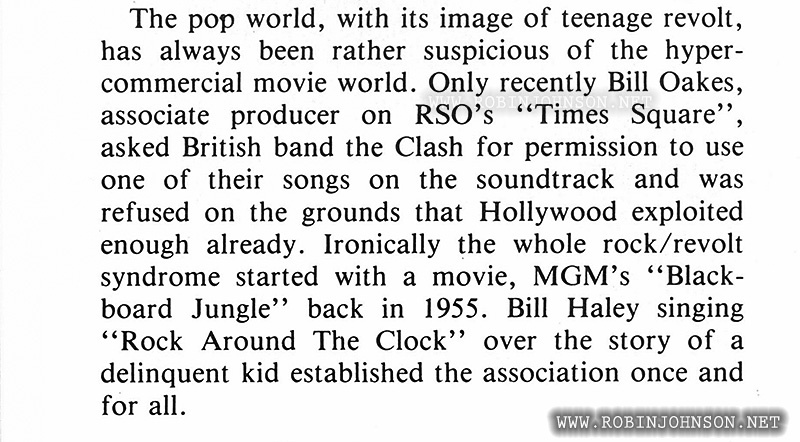 The film still merited a mention in the issue’s big article on the use of pop music in motion pictures, wherein we’re informed that The Clash refused to sully themselves by letting their art be exploited for Hollywood’s bourgeois commercial gain by allowing one of their songs to be used in Times Square. 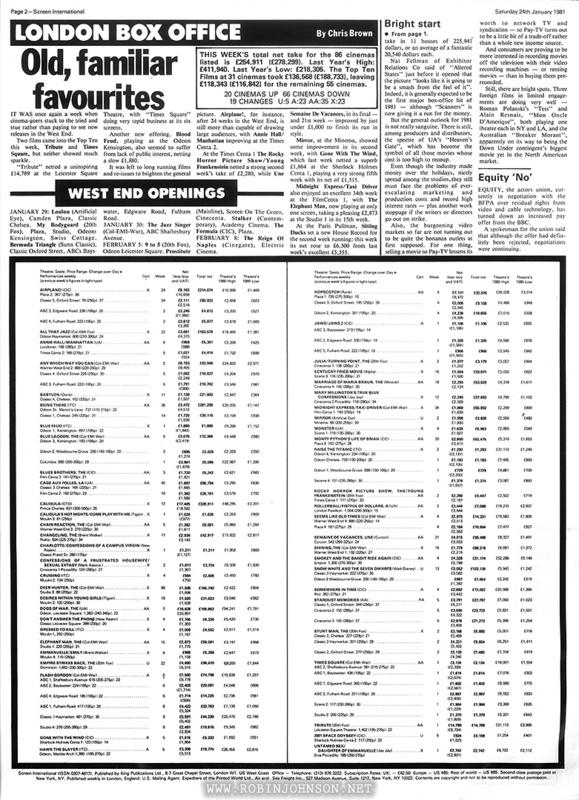 The issues and ironies involving the concept of exploitation in Times Square, both within the film itself and as a (failed) commercial property, deserve an essay to themselves, which you’re not going to get from me anytime soon, sorry. 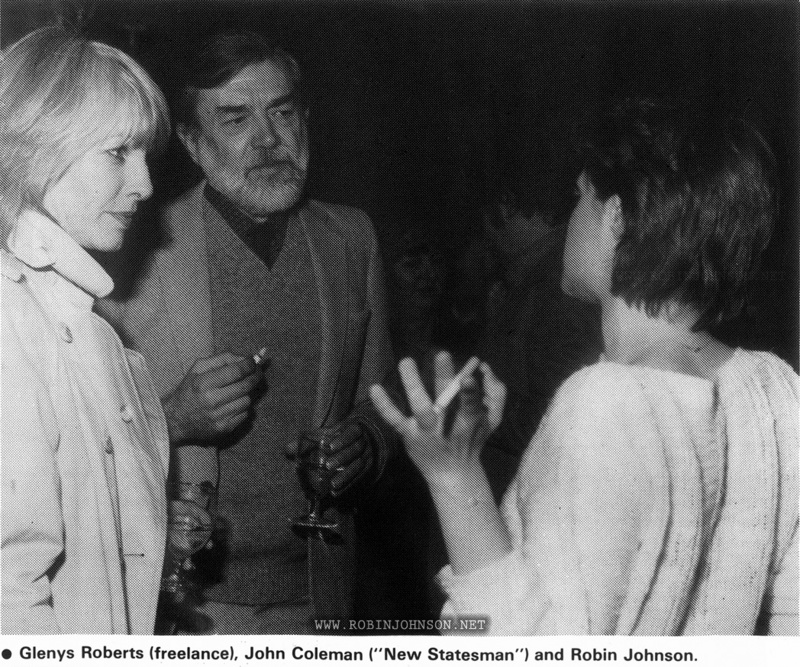 But the best thing about this issue of Screen International is page 23, which is covered in photos of Robin schmoozing with British film critics. 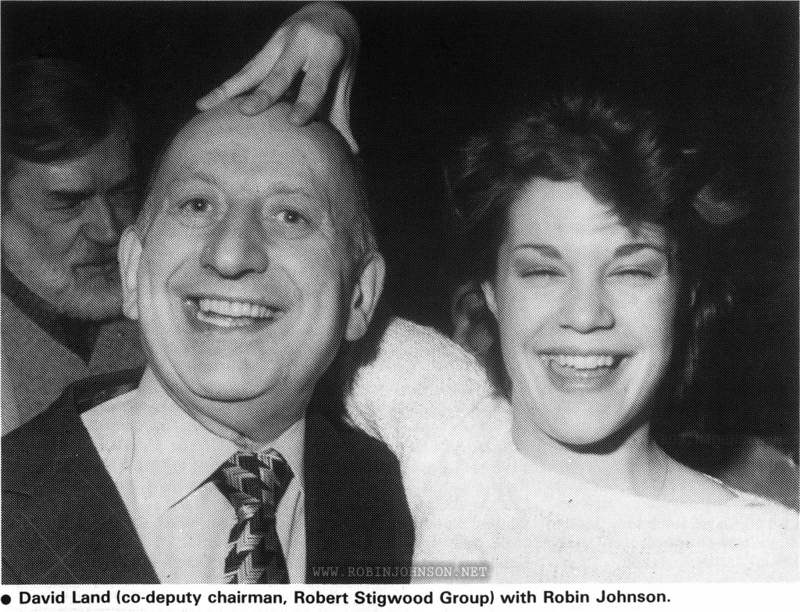 The film hadn’t completely tanked, but as we’ve seen previously RSO had already realized that the one thing the movie had going for it (aside from the soundtrack) was Robin, so they sent her overseas to promote it. 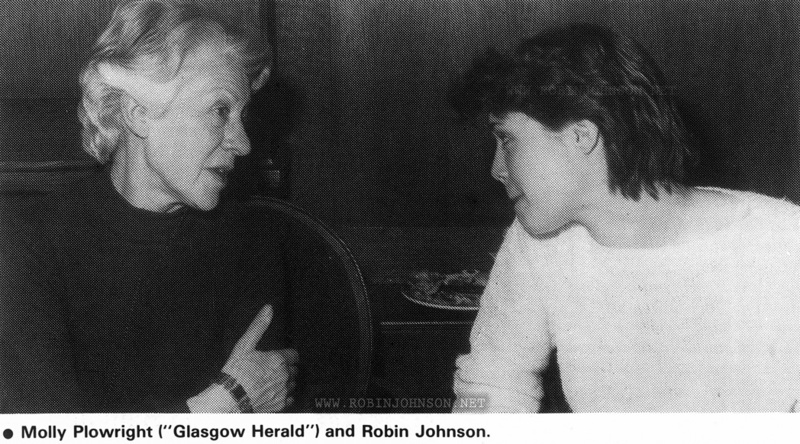 ROBIN JOHNSON, the screen’s latest teenage sensation, arrived in Britain last week to publicise the London opening of EMI’s “Times Square” in which she plays a rebellious girl who lives off her wits on the harsh New York streets. 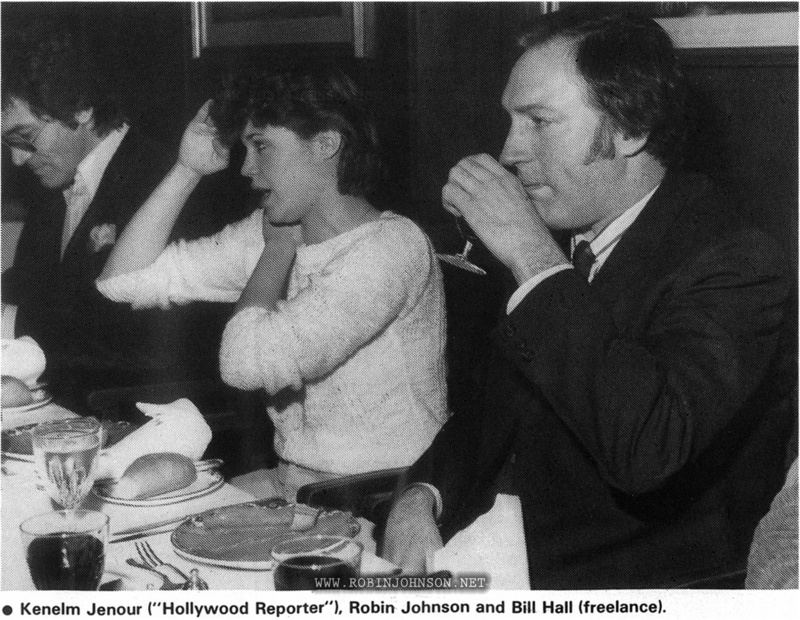 Robin, accompanied by her mother, Ida, and representatives of The Robert Stigwood Group, the film’s producers, attended a special luncheon where she met and charmed the national critics as well as taking part in interviews for radio and TV. 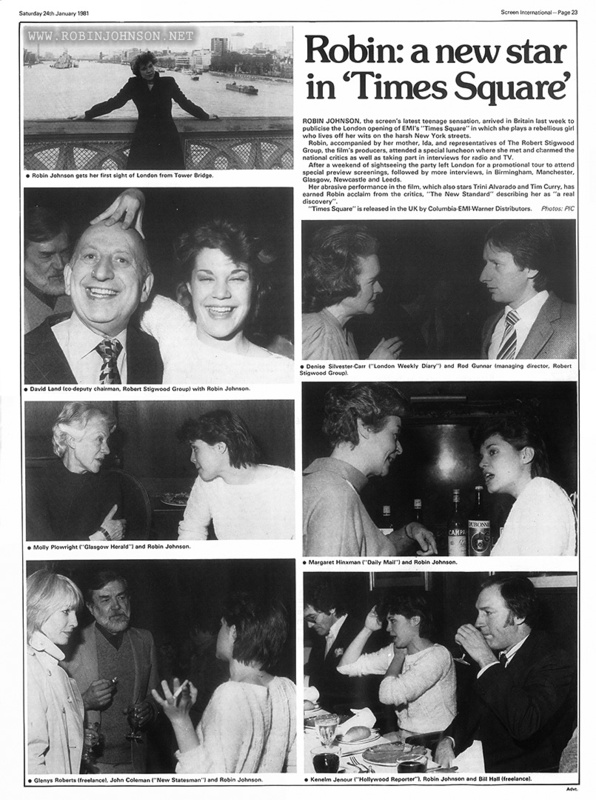 After a weekend of sightseeing the party left London for a promotional tour to attend special preview screenings, followed by more interviews, in Birmingham, Manchester, Glasgow, Newcastle and Leeds. 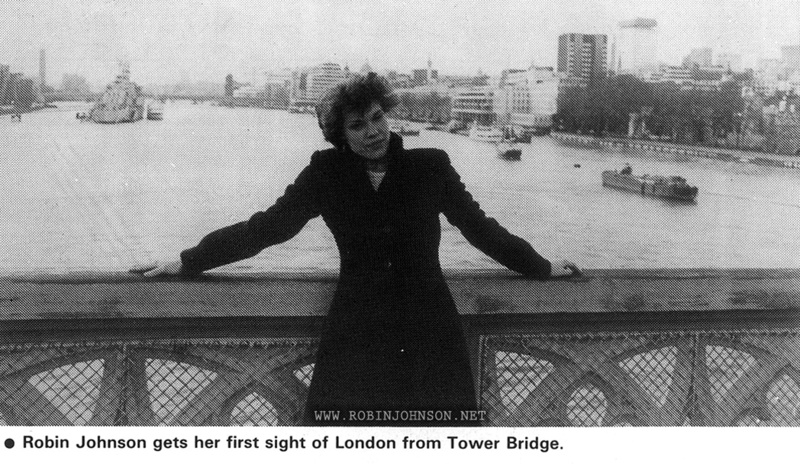 Her abrasive performance in the film, which also stars Trini Alvarado and Tim Curry, has earned Robin acclaim from the critics, “The New Standard” describing her as “a real discovery”. 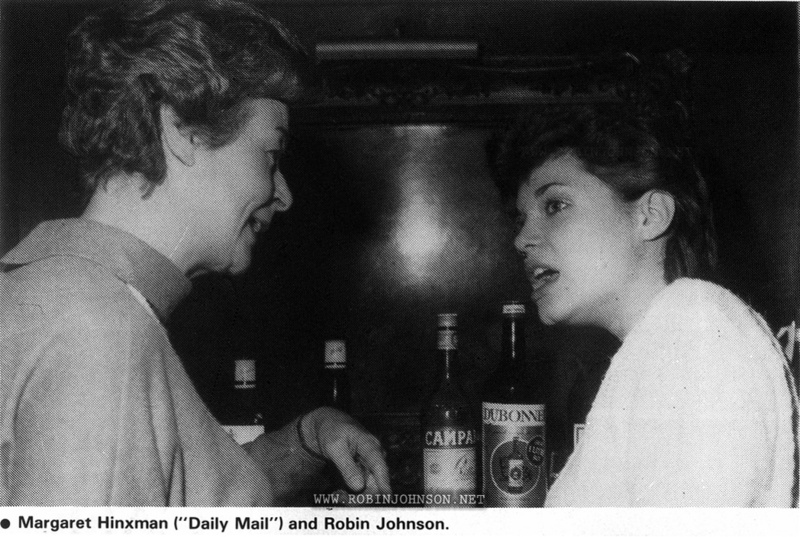 This previous post occurred well after this, that interview taking place at the end of her promotional tour, but this page is more impressive what with all the photos of Robin. 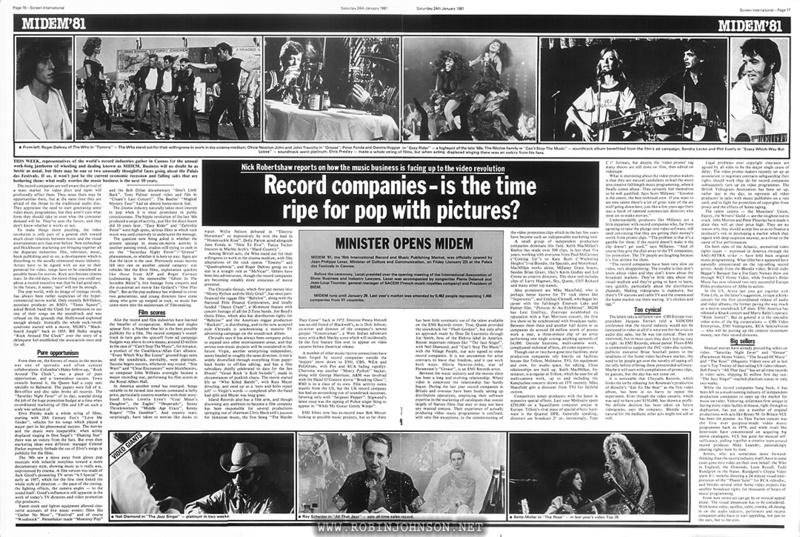 Unfortunately the newspaper-style printing leaves a lot to be desired, and reproducing them on a computer screen only highlights their limitations.